Wherever one may wander in the orient among the many schools of fighting arts, one will not find a deadlier group of combatants than the kickboxers of Thailand. 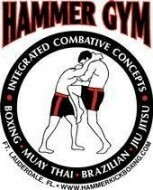 Many great Master’s in the Martial Arts accept that the thai boxer is lethal. 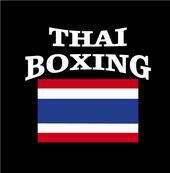 Many people look upon Muay thai (correct term for thai boxing) as a sport. This may be partly true, but the legacy of this art lives on today in the hearts of the thai people. One visit to Thailand will confirm this! Down any street one can see young children going through the rudiments of this ancient Siamese fighting art. Muay thai’s origins remain unclear. Some Historians claim a form of muay thai was practiced as far back as 1,000 years ago, but due to the constant warfare that has plagued Southeast Asia, most records in Thailand have been destroyed. There is some documentation indicating that muay thai was being practiced in the 1500’s, meaning it is at least 400-500 years old. These records describe matches fought by Nai Khanon Tom, who was caught by the Burmese and given a chance to save his life by fighting twelve Burmese champions. His victories in these matches reportedly elevated muay thai to a national sport in Thailand. The art’s popularity grew for the next few centuries. In fact King Pra-Chao, who reigned over Thailand approximately 200 years ago, was a formidable fighter and competitor. During this time, muay thai was being taught in all public schools, as well as to military personnel. The training methods, designed to create a Warrior with superior endurance and strength, were harsh and brutal. Not only are the feet and hands used as weapons in muay thai, so too are the knees and elbows, making for a devastating arsenal of both long and short range techniques. Since World War II, the sport of thai boxing has gone through various modifications in rules and techniques. Fighters are separated into as many as 12 weight classes, and bouts consist of five three-minute rounds. With thousands of professional fighters and more than 100 training camps nationwide, muay thai is by far Thailand’s most popular sport and matches are held just about every day in Bangkok!